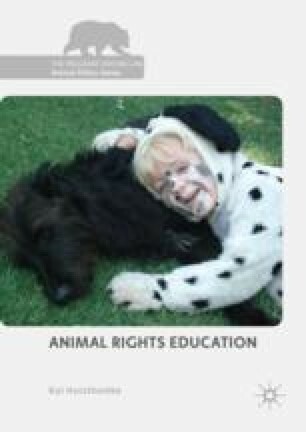 The perceived role of humane educators is to engage the interest and natural attraction of children towards animals by providing learners with accurate information about animals and animal care, encouraging a sense of empathy and compassion towards all creatures and empowering learners to use their knowledge and enthusiasm to act on behalf of the animals within their community—and not only those who are non-human. The idea is that teaching children to treat animals with kindness and respect would encourage them to treat humanity in the same way, once they grew older and stronger. The problem with appeals to kindness and love for animals is that how one feels about what one does is logically distinct from the moral assessment of what one does.